Division B’s top team continues to win. 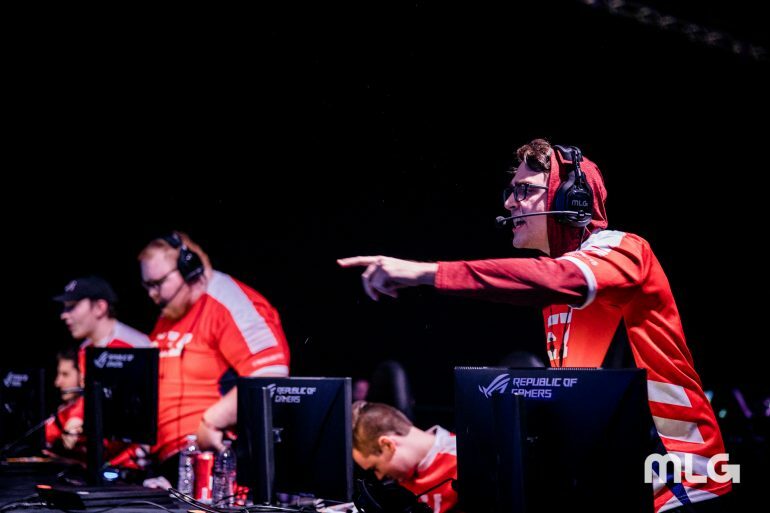 Despite making a controversial roster change by adding 18-year-old Chris “Simp” Lehr in place of two-time world champion Jordan “JKap” Kaplan, eUnited has not missed a beat at the CWL Pro League. The team returned to the CWL Pro League yesterday with a 5-2 record, and while many thought it may take Simp some time to adjust to professional play, the team avoided a reverse sweep against Evil Geniuses to pick up their sixth win. Today went even better for eUnited, though. Instead of going to the full five games like yesterday, eU was able to sweep UYU, who defeated Heretics in a 3-0 sweep of their own yesterday. The match started off with an intense Arsenal Hardpoint victory for eUnited, who had to come back in the final hill to snag a 250-239 win. The subsequent Payload Search and Destroy was another close map, but eUnited came out on top again. This time, however, the heroics of Tyler “aBeZy” Pharris were on full display as the young Saug player picked up the final three kills in a 2-vs-3 situation to secure the 11th round. Coming off of two close map losses, UYU appeared flustered and out of rhythm. This led to a disappointing showing on Gridlock Hardpoint, which eUnited won in three straight rounds to close out the series. In the other matches today, Luminosity rebounded from their loss yesterday with a 3-2 victory over Excelerate, Heretics reverse swept Evil Geniuses, and Team Envy handed Red Reserve their fourth loss of the season.